Annual Property Implementation Plans now offer the ability to see planned management actions on state forests and other state-owned properties. The plans, including a searchable tool, can be found on the DNR website (dnr.wi.gov – keyword “APIP”). State forests are governed by property master plans, which are developed with significant input from the public, but these plans cover long periods of time (up to 15 years) and do not describe annual activities. Annual plans, developed by the forester, wildlife biologist, property manager, ecologist and others, identify the major work during the next year to implement the master plan for that property. These activities encompass a variety of forest and habitat management work, including timber sales, tree plantings, prescribed burns and invasive species control. In addition, plans are shared for recreation and infrastructure improvements, including trails, campgrounds, buildings, boat landings, roads or expanded parking. APIPs do not include routine maintenance or minor actions including mowing, building maintenance, inventory or field surveys. If you are interested in planned work on one of our northern state forests (Black River, Peshtigo River, Governor Knowles, Northern Highland-American Legion, Flambeau River or Brule River State Forest), visit the Annual Property Implementation Plan webpage. Direct questions or comments to the state forest property managers listed in the plan. Tree planting and the timber sale plans for Wisconsin’s largest state forest – the Northern Highland-American Legion State Forest – are available on the DNR website for public review. Please submit comments to Forestry Team Leader Tom Shockley (715-614-4443) by July 16, 2018. 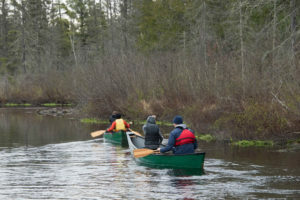 Established in 1925 to protect the headwaters of the Wisconsin, Flambeau and Manitowish rivers, the Northern Highland-American Legion State Forest occupies more than 232,000 acres in northern Wisconsin and has more than 900 lakes within its boundaries. The forest provides employment and economic support to rural and urban communities through the production of forest products, recreation and tourism. Approximately 4000 acres of timber sales represented in 35 sales were offered for sale in FY16-17. Roughly 64,000 cords of pulpwood and 1.128 million board feet of saw logs were harvested off the property last year. Regular timber sale receipts totaled $3,654,455.93. A significant wind event in 2017 resulted in major salvage harvests totaling an additional $163,868.09 in stumpage revenue. Your comments on the proposed new work plans are welcomed by July 16th. You are invited to attend open house meetings to review and comment on proposed changes to master plans for several northern forests and on a 15 year review of the Brule River State Forest master plan. The meetings are scheduled for November 2 in Woodruff and Black River Falls and November 3 in Brule and Winter. You may also review the documents, fill out surveys and submit comments online through the master planning pages for the properties. Comment deadline is November 21, 2016. Read more in this DNR news release.